And now is the perfect moment to start practicing! Here's an easy piano tutorial for you: „Last Christmas“ by Wham! 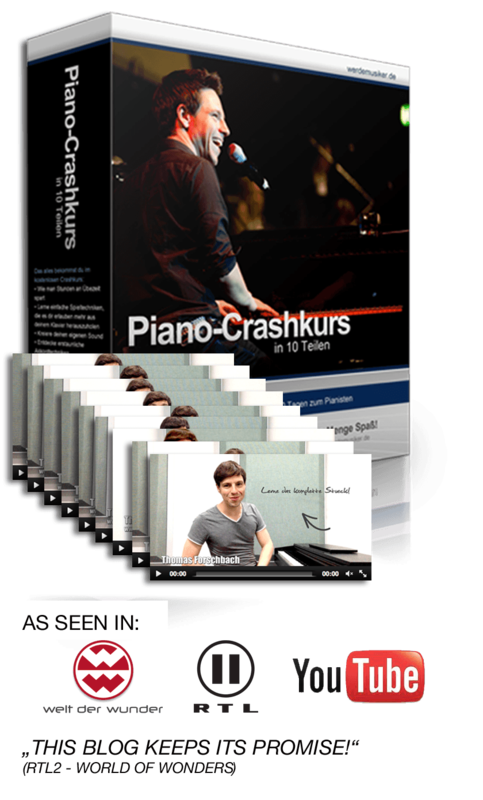 It's not only for complete beginners, but also for intermediate and advanced piano players. With this piano lessons you'll be able to learn to play this song very fast. Let’s get started !! There’s a lot to discover. And if these tutorials are a little bit too difficult for you, then it’s better to start with my . You’ll find it here! After that it will certainly be easier for you to learn this wonderful and famous Christmas song. If you have any questions or feedback for me, feel free to email me anytime!